It had been a while I wasn’t that excited testing a new product. Creative Labs is among my favorite audio manufacturers and I’m satisfied with most of their products. I was thrilled when I received the new Creative iRoar Bluetooth speaker as it is claimed to be the most intelligent wireless speaker on the planet. I was so confident this would be an awesome product after it was named a CES 2016 Innovation Awards Honoree product and many websites pick it as the best portable speaker of the year. 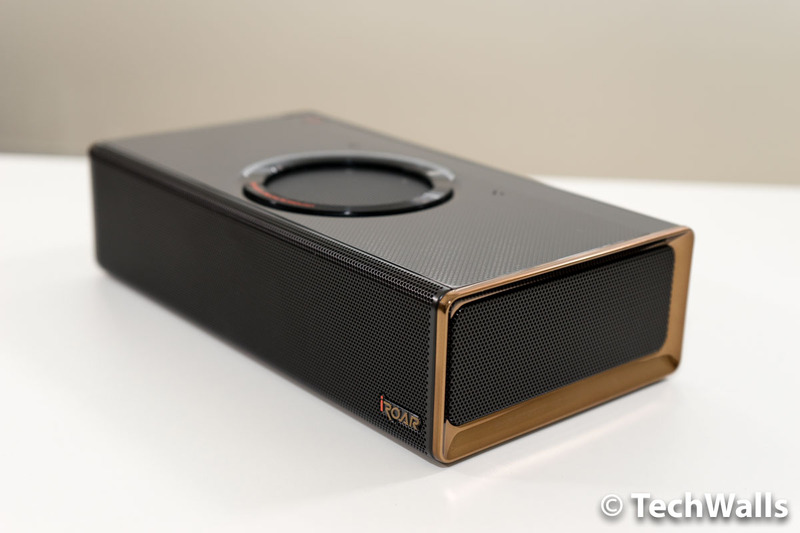 How is it better than its predecessors like Sound Blaster Roar 2? We’re going to find out in the review. There was no surprise when I took the Creative speaker out of the box. Apart from the iRoar, you can also find a red USB cable, a power adapter, 2 more plugs and a carrying pouch. 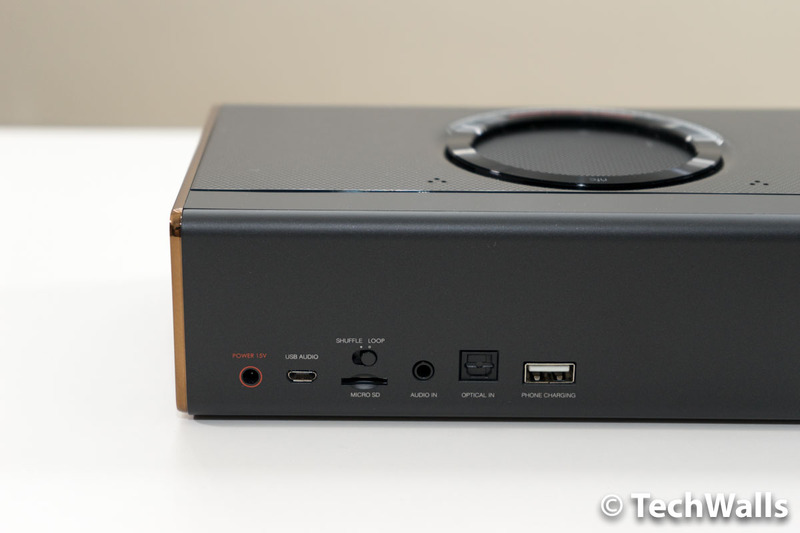 Although the design is so similar to the Sound Blaster Roar 2, there are actually some differences here. The iRoar is a little bigger and heavier, and importantly, it looks much more stylish with copper trim on 2 sides and almost no physical button. There is only one power button on top left, other buttons are replaced by contextually aware capacitive touch controls. I’m impressed with the build quality and form factor, the only disavantage is that the iRoar is not waterproof, so you shouldn’t use it outdoor, near a pool or on the beach. The hidden touch controls will only show up after you power on the speaker and tap on the Mode button (next to the Power button). Those buttons include media navigation, Record, ROAR, Mic Beam, Mic Mute, Call and volume rocker. Right below, there is a Hot Glow Display which will display your audio source like Bluetooth, SD card playback or recording playback. The display will also show you the battery level when you hold the Mode button, or show a phone icon when you receive a phone call. Besides, I’m really impressed with the new monocoque, or one-piece endoskeletal chassis to reduce vibrations of internal components. The driver layout also has some slight changes. While the passive radiators are still located on 2 sides and the active 2.75″ driver stays on top, the 2 high-frequency drivers are moved to the front. As we all expected, all connections are put on the back of the iRoar. We have a power in port, a micro-USB audio port, a microSD card slot with shuffle/loop switch, 3.5mm analog line-in, a TOSlink Optical input and a USB port to charge your phone. Therefore, you know that you can play music from any audio source. 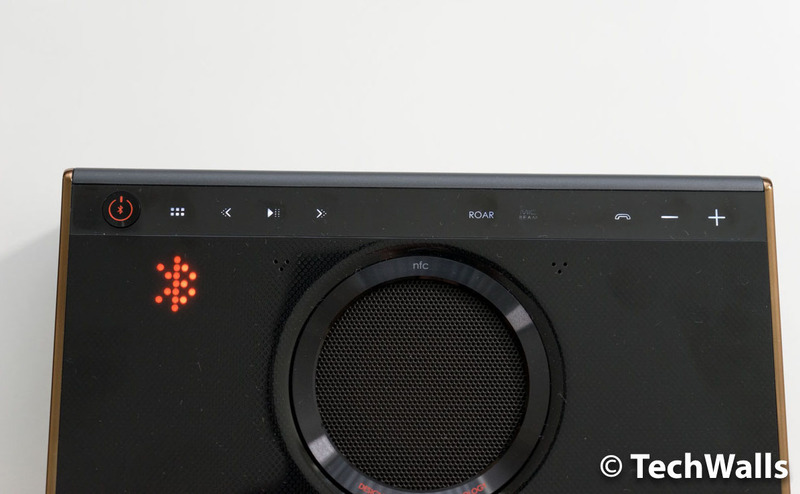 You can even connect it to your TV via an optical cable and use the iRoar as a mini soundbar. If it’s not enough, you can add one more iRoar to create a more powerful stereo system, you’ll just need to buy an extra MegaStereo cable. What I love most about the speaker is that it is like a platform and you can upgrade the system for more functionalities. 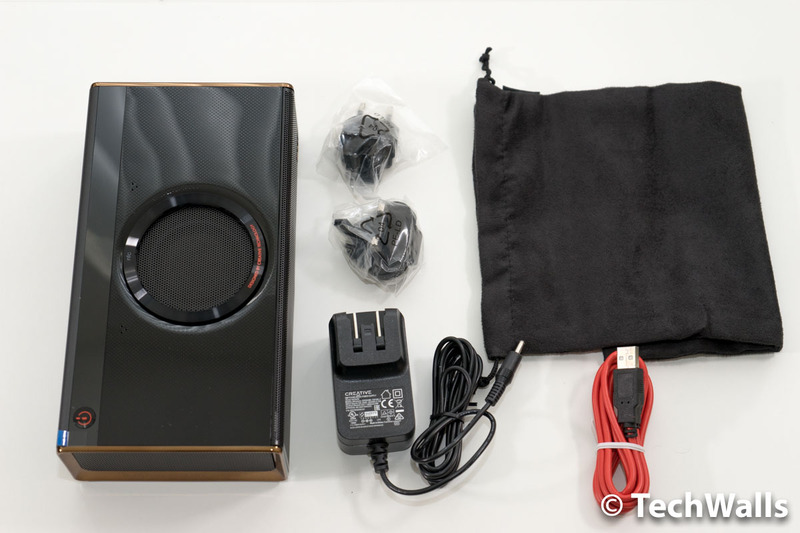 For instance, you can double up the power with 2 iRoars, or you can dock it on top of the external subwoofer iRoar Rock to charge the speaker and create a more booming sound, or you can pair it with the iRoar Mic to turn it into a wireless public address system, or even a karaoke system. Now you might be wondering how it is an intelligent speaker. I’m a little disappointed with the smart aspect of the speaker, it’s totally different from smart speakers like Amazon Echo or Aether Cone. The iRoar features the SB AXX1 digital audio processor found in Creative SBX family of speakers and sound cards, therefore, it is capable of handling advanced processing like real-time audio adjustments. After installing the iRoar Dashboard app, you can change EQ settings or alter your voice during calls and recordings. There are also some add-ons like Alarm Clock or Baby lullaby but I don’t really find this section useful. Besides, there is another app called Remote Assistant but again this is a very basic app. 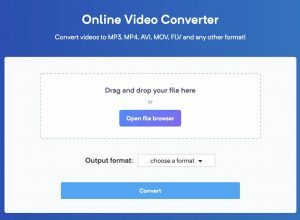 You can choose to play music via Bluetooth, microSD card or your recordings, and see what song is playing, unfortunately, there is no tracklist or search function, so you can’t easily look for a specific song. The speaker packs a big 9,000 mAh battery which boasts up to 20 hours of battery life. However, it couldn’t live that long during my tests, I often have to plug in the power adapter after about 12-14 hours of mixed usage. Now we all know that the iRoar is a feature-rich speaker in a premium design, however, all of them are meaningless if it doesn’t sound good. Fortunately, that’s not the case here. You can check out my sound test below to get an idea of the sound signature. 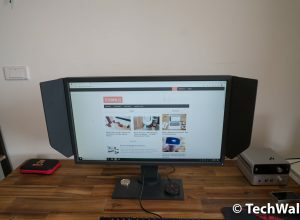 The speaker has some sound characteristic profiles including BlasterX, Game On, Audiophile Bliss, Cinemania, Sonic Bass and Live Concert. I used the BlasterX profile in the sound test above as it is suitable for large rooms and open areas. However, there was a little distortion when I cranked up the volume, so I actually prefer the Audiophile Bliss profile with flat EQ setting. If you don’t like those preset profiles, you can also manually adjust the equalizer to fit your music taste. There are even options to boost soundstage and dialog. Besides, I also turn on the ROAR mode because it boosts the loudness and helps expand the soundstage. 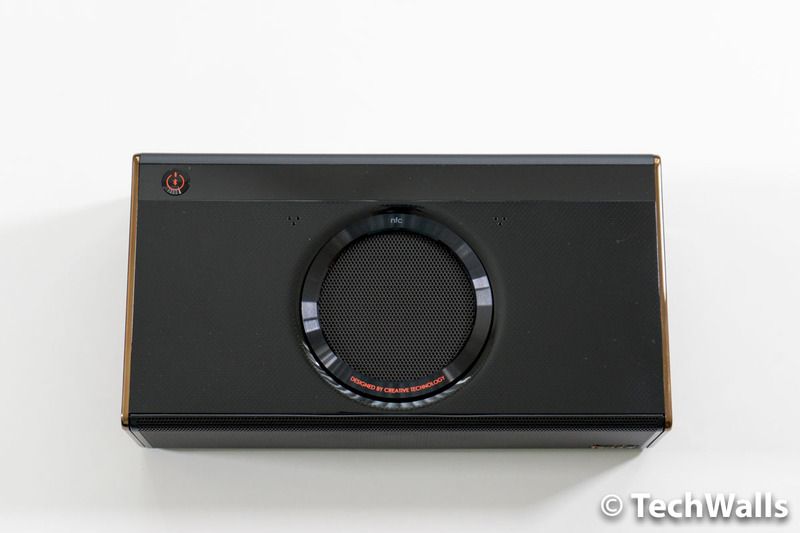 The total output power of iRoar is 40 watts and this is really the most powerful portable speaker I’ve ever tested. You wouldn’t believe such a powerful and spacious sound could come from such a small box. 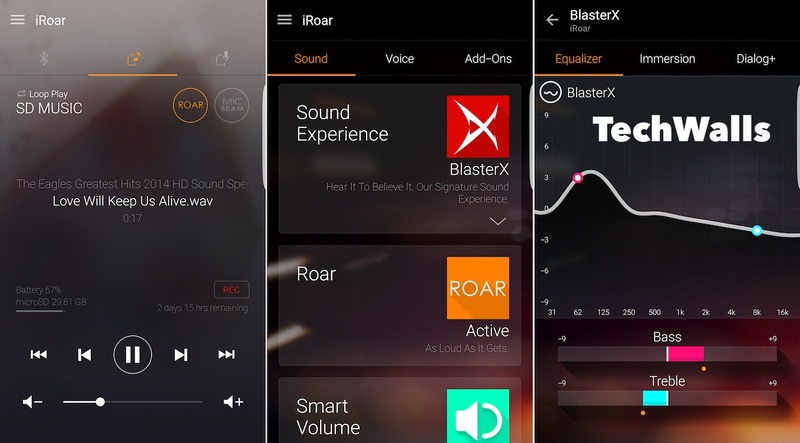 The iRoar performs extremely well in my apartment and you will absolutely love that deep bass in BlasterX mode. When I use the speaker in smaller rooms or at lower volume level, the flat EQ setting helps deliver a very well-balanced sound with clear mids and highs. You won’t hear a muddy sound like other speakers. Everything is customizable, so you can be confident you can use it for most music genres. The only downside is that the driver layout doesn’t perform well outdoors. You won’t be able to enjoy that weighty bass because of the top-firing active driver and side-firing passive radiators. This is another reason you wouldn’t want to use it as a portable speaker. The Creative iRoar is among the best-sounding wireless speakers on the market. 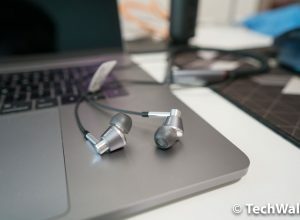 You should only buy it if you love the sound signature, not those ‘intelligent’ features, and you might want to wait for a price drop because it is quite expensive at the moment. 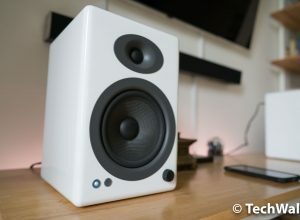 Another great wireless speaker from Creative Labs but it doesn't come cheap.